Do The Dew! With Solid Snake! What’s better than a cold can of Mountain Dew and sitting back to enjoy your favorite stealth-action series Metal Gear Solid? 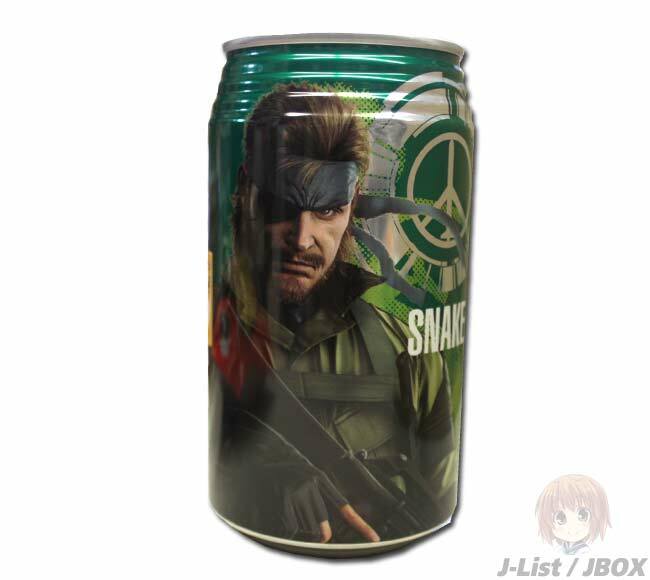 How about a can of Mountain Dew featuring an awesome mug shot of that gritty box-loving hero Solid Snake. It’s all thanks to a timely friendship by both Konami and the PepsiCo Japan branch, as cans of that citrus-flavored juice, which has so much sugar that you could probably pick up a mid-sized sedan after drinking one, will be promoting Metal Gear Solid: Peace Walker for the PlayStation Portable. The set of eight cans will individually be graced with a character photo from the game, and better yet, will also have a special code that you enter into Peace Walker to receive a Mountain Dew designed shirt as a secret item for your in-game inventory. 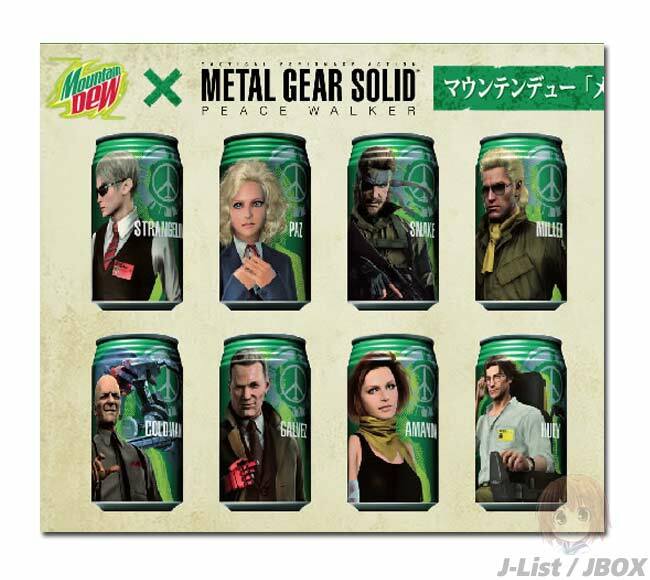 Now without being actually in Japan, the only other way to get your hands on a special edition Metal Gear Solid: Peace Walker Mountain Dew can is by ordering from an importer. JBox, and no, not that burger place with the Clown, is an online importer of many Japanese goods, mostly Anime related items and the like. There you can get your hands of a set of Mountain Dew cans, or how many you like, but hurry the cans are limited in number.